This listing is for a PDF file, not a finished item. Dress this up with special occasion fabrics or choose your favorite quilter's cotton. 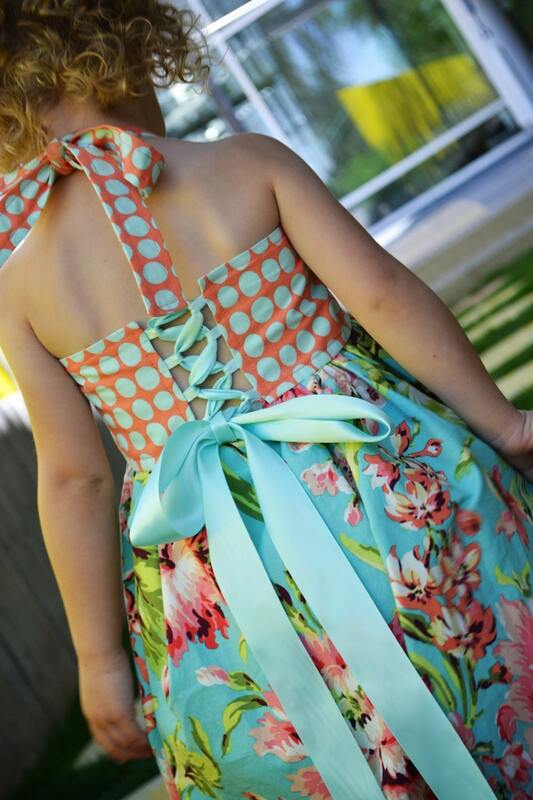 This dress is sure to turn heads and make your little one feel special. The back laces up like a corset and ties into a beautiful bow. The PDF pattern/tutorial is packed full of photos and step-by-step instructions that will make the creation of this dress seem too easy. Your PDF file will be available for INSTANT download through Etsy once payment is received. This is a PDF file; therefore you will need Adobe Reader. No refunds available once the product has been sent. Don't see it in your inbox? Please check your junk mail :) and then have a wonderful day! This tutorial is permitted for use to make garments to sell, on a small scale. © Copyright 2011, Tenderfeet Stitches, All Rights Reserved. Reproduction of the licensed materials is strictly prohibited by US and International copyright law. Just what I was looking for! A great Seller to work with! Sweet, easy girls apron pattern. Thanks ! For payment I accept PayPal. Items will not be made or shipped until payment is received in full. I do not offer refunds on clothing unless the construction is inferior and it has not been worn. Tutorials are not refundable once they have been delivered, but if you have issues with the content please contact me so that they can be resolved. I always welcome any and all input and suggestions.